On robo-advising platforms, algorithms manage investment portfolios with minimal human involvement, making advice accessible to investors with smaller balances (often the more you invest, the more personalized service you can expect). Money Magazine compares robo-advisors to a “GPS navigation device for your finances.” Large online brokers such as TD Ameritrade and E-Trade have launched robo-advisors, while startups like Bettermint and Wealthfront focus on this area (the former offers a hybrid model with experts available for an additional fee), reports NerdWallet in its top 2017 picks. Statista lists the assets under management of several major robo-advisors. The growth of these tools provides ample opportunities for business reporters to localize the topic and explain the concept to readers. • Who is using robo-advisors and for what purpose? Investing for college, retirement, other goals? Could these tools help bridge the investing gap between white males and women or minorities? For instance, ElleVest is a robo-advising platform targeted at female investors, while Finhabits is a bilingual platform aimed at the Latino community. Can you identify other robo-advisors that serve people in your local community? What about other niches? • What are the pros and cons for investors? How do the fees and minimums for a human advisor compare to a robo-advisor? Talk to financial experts to find out what consumers should think about in deciding between a human advisor and a robo-advisor. 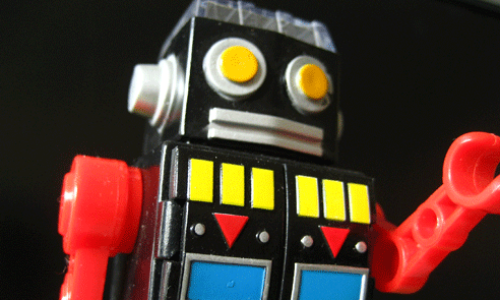 If they’re going to use a robo-advisor, how should they pick one? How are robo-advisors regulated? • How has—or could—this development impact local financial advisors? Some advisors aren’t sure what to think of robo-advisors, reports Think Advisor. Has this trend impacted financial advisory firms in your area? Or do they cater to a demographic that wants more personalized attention from a human advisor? Does your community have any startups developing robo-advisors or banks offering them? Two ways to locate fee-only financial planners in your area: Search by zip code on the Garrett Planning Network website or the Certified Financial Planner website. • Financial Services Technology 2020 and Beyond: Embracing disruption This report from PwC details several tech trends in financial services, including robo-advising. Consider tapping local consulting firms in this space for additional context. • Regulating Robo Advice Across the Financial Services Industry This paper penned by professors at University of Pennsylvania Law School and Erasmus University Rotterdam highlights the regulatory challenges robo-advisors present. Finance, law and economics professors are other potential resources. • Investor Bulletin on Robo-Advisors The SEC published an investor bulletin to help individual investors understand their options. This and other government-issued materials could provide additional background on the robo-advising landscape.